Independent Catering served up a delicious feast of roast turkey and all the trimmings to the majority of pupils (and staff) on Thursday lunchtime. 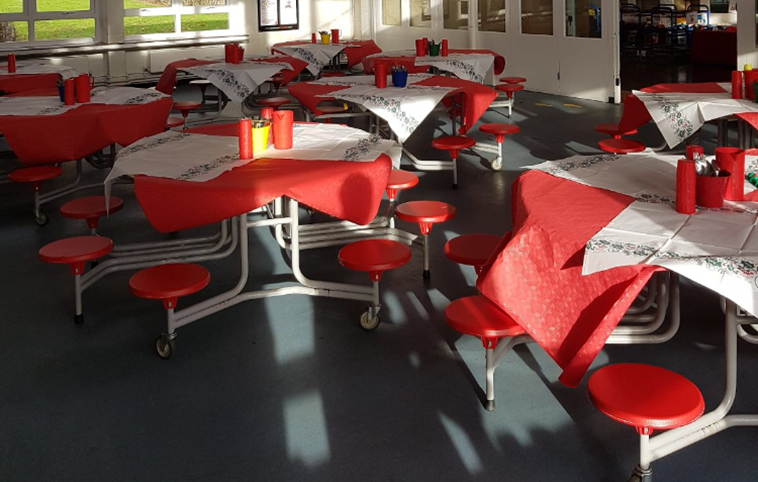 The dining tables were decorated with festive tablecloths and crackers for the children to pull whilst they listened to Christmas music playing in the background. 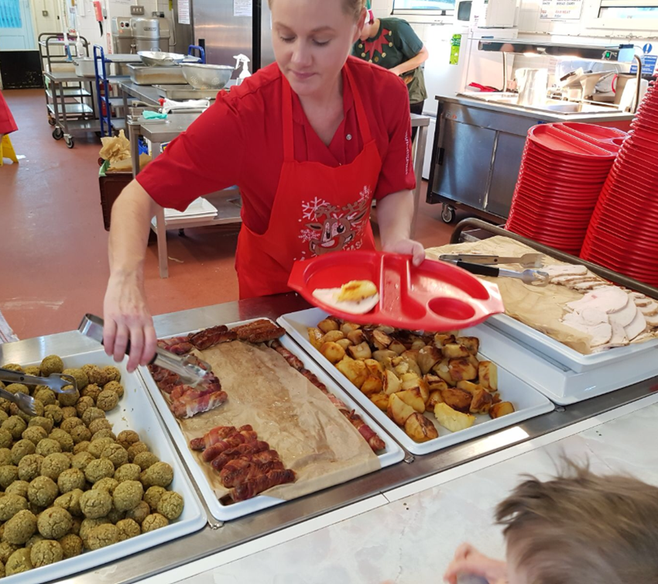 It was a wonderful atmosphere and I would like to thank Independent Catering for providing such a wonderful Christmas lunch.